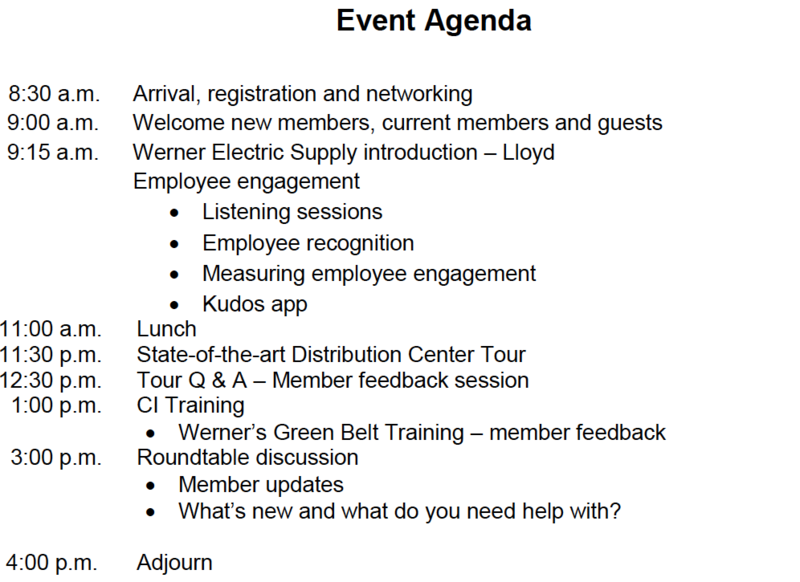 Werner is excited to share their approach to employee engagement, recognition and measurement. They have developed a Green Belt training program and will present the training to the group. They are looking for feedback: What other members are doing for training, who does training, how long and how they measure effectiveness? This event will include a tour of their state-of-the-art distribution center. Click to download the .ics file to import into your Outlook calendar.